This is a rare one, an Art Deco styled very early 14k. gold Heuer mens watch. 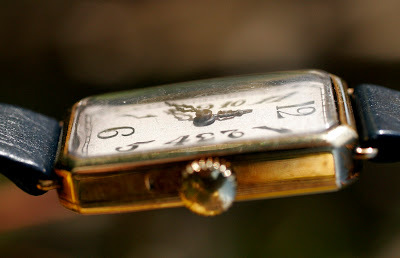 It is not signed Heuer anywhere, this is a Rose watch, signed “Rose W. Co” on case and movement. 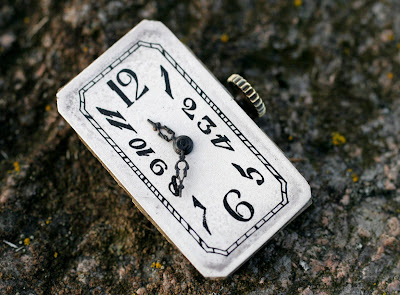 The watch is small, only 18mm x 30mm. To small for a man today. It is in very good original condition, even if it’s nearly 100 years old. Not bad. In April 1912 Heuer was renamed “Heuer & co., Rose Watch co.” Charles-Auguste and Jules-Edouard at the urging of their American partner decided to use the trade name "ROSE WATCH COMPANY" on all watch movements imported into the USA. Due to high customs tariff on complete Swiss watches during this time period, Heuer would send a complete movement without a case. The movement was then installed in a US-made case. 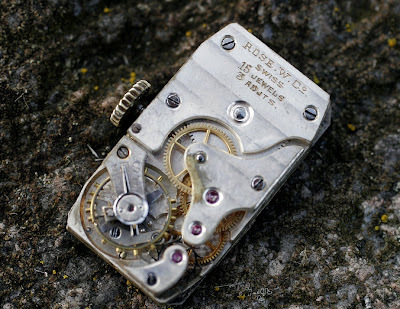 In 1922, after ten years, Heuer stopped using the “Rose”-name. 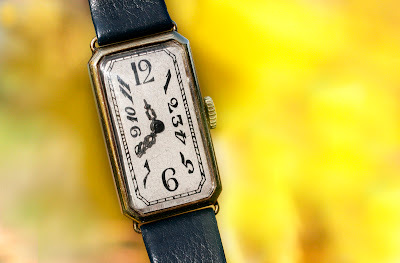 So from 1912-1922, all Heuer watches sold in USA was signed “Rose W. Co.”. 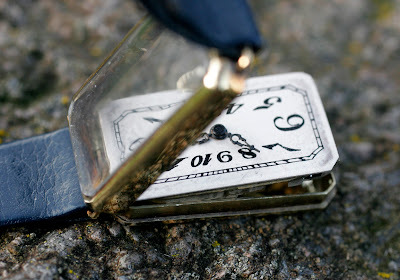 A full range of pocket-, mens-, ladies watches and chronographs was marketed.